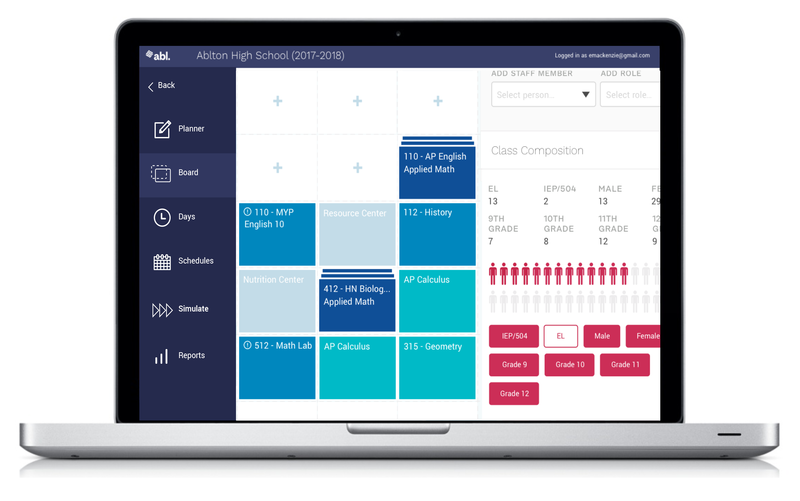 Abl Schools, a nearly two-year-old, San Francisco-based company that makes time and resource management software for middle schools and high schools, has raised $7.5 million in Series A funding. Rethink Education led the round, with participation from Sinovation Ventures and earlier backers Owl Ventures, Reach Capital and First Round Capital. The company, which had raised $4.5 million last year, has now garnered $12 million in funding altogether. Pisoni had stayed on at Microsoft as a corporate VP for a couple of years, but even then, he’d begun thinking of how to improve on public school education and whether, given his skill sets, he might help principals and superintendents get a better handle on how best to utilize the teachers, coaches and other members of their school systems. Over time, the master scheduling system that Abl has become came into focus. Today, the young company has 12 employees, including a handful of engineers, two product designers and a former edtech CEO. Abl isn’t talking about how many schools have signed on to use its software, which costs $3 to $7 per student per year, depending on which parts of its product suite are used. But it says that this spring, a dozen schools worked with Abl to help it design and test the product; it says, too, that it has hosted workshops with tens of other schools over the past year to gather insights and product requirements that now inform its product strategy. Abl is currently targeted at secondary schools — mostly in school districts where enrollment ranges from 10,000 to 50,000 students. Next year, it plans to begin supporting elementary schools, as well.